In the age of internet, if you have a business and it does not have an online presence, you are probably doing something wrong. Marketing through social media is very important and necessary even, as almost everyone in the modern world now has a Facebook or a Tweeter account; it might not be enough though. In order to take it a step further, you should also have a site of your own, especially if your business can support online shopping. Building a website for your company involves a fair bit of work and will require your attention in more than one segment, but the very first thing that you need to concern yourself with is the web hosting. It is mandatory to make sure that the web hosting service which you have chosen is not only trustworthy and responsible, but also the right type of service. To help you understand what type of web hosting service will be appropriate for the needs of your business and your customers, we have listed the main variants so that you can choose wisely and in accordance to your budget. 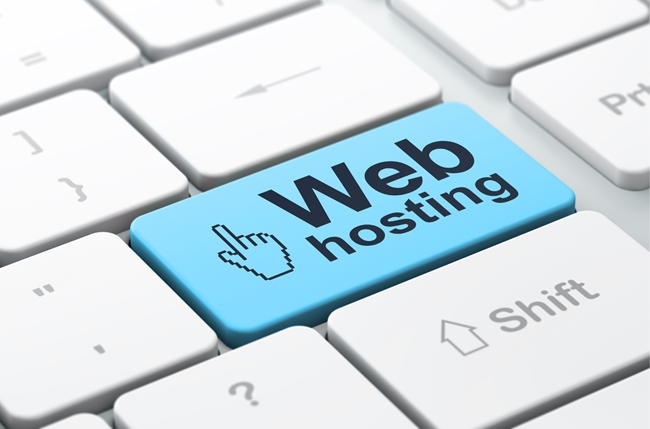 There are other hosting types, but the list below is what you’ll find most common. A shared web hosting service is targeted towards beginners and small business owners who do not want to invest too deeply into web hosting yet. As the name suggests, a site in a shared hosting will share the resources of the hosting server with other client sites that are also hosted within that server. The resources which your siteâ€™s applications and information will share with your fellow businesses include the internet connection, the allocated bandwidth, the space and the memory of the server. – The most budget-friendly type of web hosting service available. – It is a fast process and you do not have to setup your own sever. – Depending on the amount of activity on your site, the shared resources may slow down your siteâ€™s performance. – Your webpage becomes dependent on the OS that the server is running on. This is the complete deal when it comes to starting with a totally independent web hosting service. If you value the freedom of doing as you please and would prefer not to share any of the resources of the server, this is the service for you. A dedicated web hosting service empowers you to install any application that you want on it, as well as allowing you root access. You have a choice though; you could be in charge and thus responsible for anything and everything that happens within the server and on your site, or you can hire professionals to setup and manage accordingly. – Complete control of everything within the entire server. – As you are the only site on the entire server, performance issues associated with a shared server are non-existent. – You will need to have the technical knowledge associated with setting up, running, maintaining and updating a server. – It is costly because no other site is involved and thus the expenses are solely yours. – You may need to hire people to maintain the server, therefore increasing costs further. Cloud hosting is arguably one of the best options because of a number of reasons, but let us first understand what it is and how it works. A server that uses cloud hosting will not be confined to any one computer. A load balancer application will allow your website to be hosted on multiple computers at any given time, which means that the loss of a computer that was hosting your site will not cause your site to go down. The load will simply be transferred to another working machine with the help of the load balancer. It is therefore by default, a far more reliable web hosting service than the ones that are dependent on one server computer. Due to it’s scalability there are many options on the market such as these so whatever your budget, you’ll find something to suit. – Your business will never have any downtime just because a server machine went down. – The expenses are strictly on a pay and use basis; which means no paying for unused services. – Although cloud hosting is not a cheap service, it can be less expensive than dedicated web hosting services. – Aptly suited for colocation purposes. – Security is the biggest concern when it comes to cloud web hosting because the data is continuously moving and it is accessible via multiple machines. – The freedom to control everything about the server and your site may not be as absolute as it is in case of a dedicated server. Virtual Private Server or VPS has some of the aspects from all the other web hosting services embedded in its structure. Though it primarily is a single server, but is less expensive. The setup is done in such a way, that a single server behaves like a number of separate virtual shared hosting servers. – Cheaper than both cloud hosting and dedicated web hosting services, but also more reliable than shared web hosting. – It still requires sharing resources of the server, but will give you direct control over the allotment. – Not the cheapest option, shared web hosting still tops that list. – Maintenance can be expensive, especially if you are not a techie. There is no single best option that can be taken as the universal answer for this question as the answer will vary depending on the size and the need of the business in question. However, once you have a budget and the particular needs of your business are sorted out, choosing the right type of web hosting service should become easier. Remember to invest in a reputed web hosting service to avoid any unwanted slowdowns and service issues.